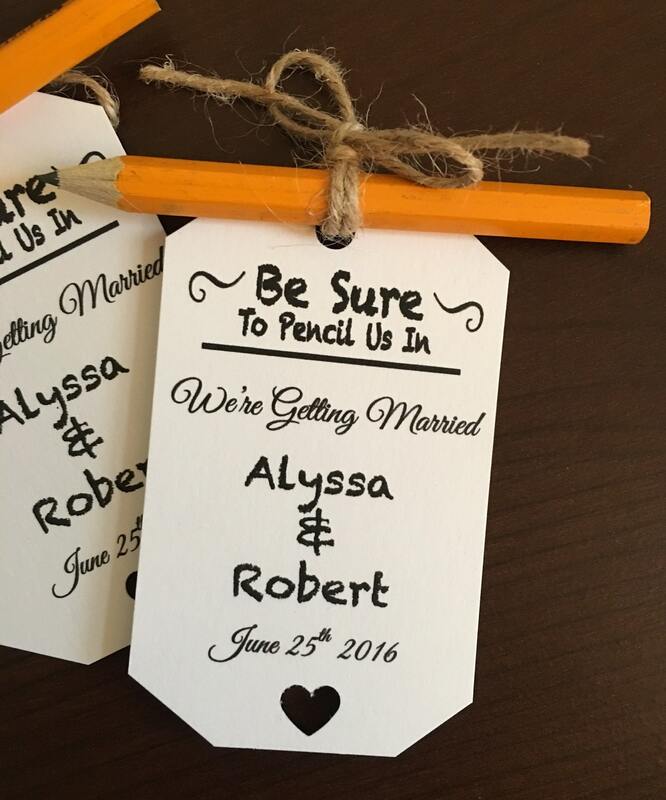 Save the date tags with pencils! Such a cute idea! 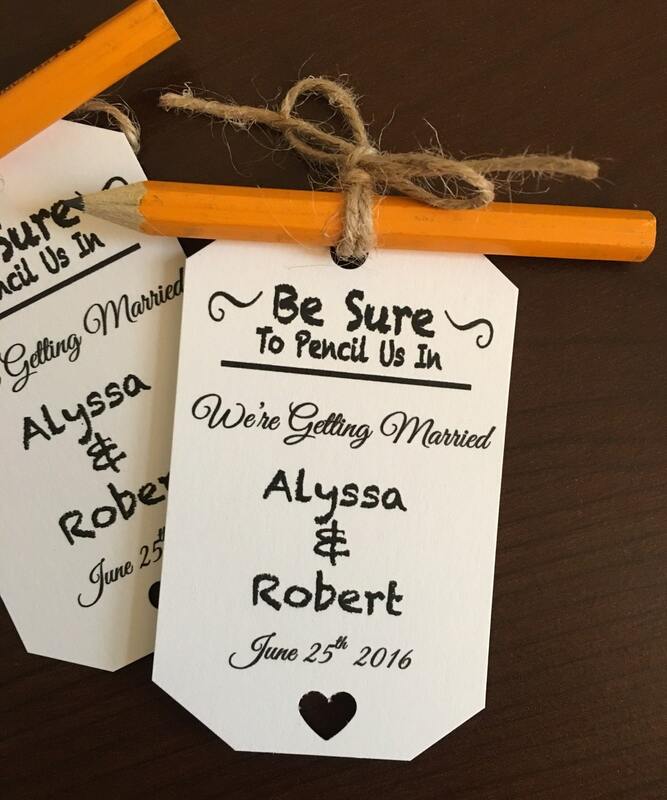 I will send you a proof of your save the date tag within 24-48 hours so you can add/edit anything you'd like. As soon as you approve of the proof, I will get started on your order.